Such ruminations were not entirely alien to me. I will celebrate my four-year anniversary in July of this year and, whilst my marriage has largely been a happy one, my career has often served to exacerbate the anxiety I’ve felt following the inevitable arguments that come with marriage. These worries, though, had been relatively easy to placate; to rationalise and move on from. The same could not be said for those that concerned my daughter. I grew up a child of divorce and, as this affected me profoundly, I was determined that my daughter would not suffer the same fate. This led me to carefully consider what I have learned throughout the course of my life and career; to determine what the separated parents I spoke with everyday were doing right and where they were going wrong. This could have resulted in an exhaustive article listing multiple qualities, considerations and permutations but, after hours of soul-searching, it became clear that successful post-divorce parenting all comes down to one key quality: empathy. In order to maintain a relationship with a former spouse, any number of positive traits are required: patience, compassion, flexibility and poise to name just a few. When someone is able to consider someone else’s position and genuinely understand how they feel, though, these come far more easily. Empathy will help former spouses recognise the pain that denying a parent contact with their child will cause. More importantly, it leads them to appreciate how they would feel if they were placed in such a position and it makes the thought of inflicting this on another person unthinkable. Combine this with the fact that empathy breeds flexibility and understanding and such couples are almost certain to be able to produce a plan that works for them and their children. They’ll also be able to make temporary or permanent changes to these arrangements with relative ease, too. As vital as it is to empathise with former spouses, the need to be able to view the situation from a child’s point of view is equally important. By doing this, parents will be better placed to determine how their children are likely to feel and, as a direct result of this, will be much more capable of determining their needs. After a child’s needs have been determined, they can be met and, if separated parents are able to empathise with one another, they’ll be in a position to communicate with one another effectively and engage in a joint effort to meet them. By maintaining uniformity and consistently meeting these needs, children will be afforded the sense of security that is so often taken from them when their parents divorce. 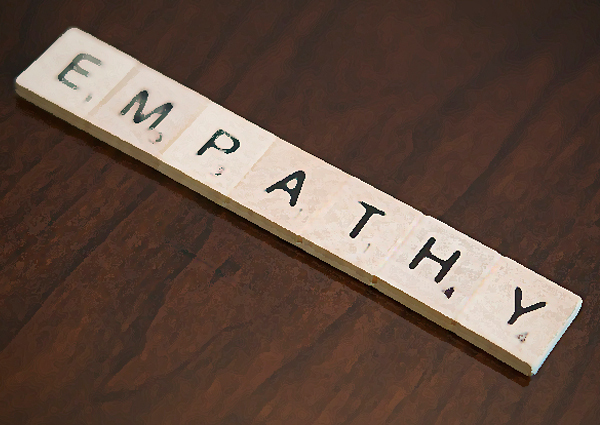 Make no mistake, empathy is the key to successful parenting post-divorce! Jay Williams works as a case manager at Quickie Divorce, one of the largest providers of uncontested divorce solutions in England and Wales. He lives in Cardiff, Wales, with his wife and two-year-old daughter Eirys.